Dr. Brian McGuire is the Associate Dean of the Romain College of Business and Professor of Accounting at the University of Southern Indiana (USI). He has numerous professional certifications, including CPA, CMA, CBM, and CITP. He has broad professional experience, having served as the Administrator of a medical center and as Director of Corporate Operations of a hospital holding company. 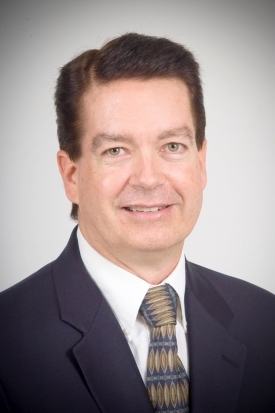 Dr. McGuire has held leadership positions in numerous professional and academic associations, including AACSB International, where he serves as Vice Chair of both the Accounting Accreditation Committee and the Associate Deans Affinity Group and is a member of the AACSB’s Committee on Accreditation Policy. He also serves as a member of the International Accounting Education Standards Board (IAESB) and was recently asked to serve another term on the IAESB. Dr. McGuire was Director of Administration and Development and a member of Beta Alpha Psi’s Global Board of Directors. He also served as Chair of BAP’s Technology Task Force, and he is a member of BAP’s 100th Anniversary Planning Committee. In addition, he is the Faculty Advisor for BAP’s Lambda Mu Chapter at USI. In 2016, he was awarded the Beta Alpha Psi Outstanding Faculty Advisor Award. Dr. McGuire is a frequent speaker for universities, professional associations, and civic organizations, having made over 150 presentations, and he has over 100 published works and articles, including over fifty journal articles published in several languages.